It’s a grey moody Monday here in my neck of the world. Hard to be motivated when the sun decided to take the day off or the clouds are working over time, seemingly promised time and a half if they show up and cover the sun all the dang day. say that consciousness had consciousness and knew what you needed even as you thought you had a knowing of your self…Who knows ya baby, better than you know yourself? Then there could be your reason for moody Mondays. Who wouldn’t be pissed off walking around being someone they are not? Who wouldn’t be upset that their insides do not match their outsides? Who wouldn’t be upset when every time you said a word others heard you say a different word? WHY AREN’T YOU SAYING WHAT YOU NEED TO SAY? Get out there this moody Monday and make this day your own! GO, WHAT ARE YOU WAITING FOR???????????? Which car is you on the Ferris wheel? This picture represents one of the best ways I find in explaining the human experience. I find most people think of life in linear terms, born on this day, die on that day and every day in between just another day down the road. But in my experience life moves more in circles, spirals if you’re lucky. The way I look at it, we are on a Ferris Wheel. I see us spinning on a wheel with designated start and stop points. For the linear thinker those would be the days of your birth and death. For those of us on the wheel the days of starting and stopping would also include days of redemption and atonement, resurrection and rebirth and other opportunities to start again, start over, move ahead or move along. Each point where the Ferris wheel pauses to let other beings on and off the wheel of life can be seen as way stations, where you receive advance training for the next station on your journey. To be clear, on this symbolic Ferris Wheel the developmental stage of where you are at is represented by the location of your car on the Ferris wheel. See the wheel like the face of a clock. We enter each new stage of our lives at the car positioned at 6:00. It is the same position of the car where we get off, after having finished that cycle of experience. You are ready for a more advanced go around on the Ferris Wheel. The one in this picture is the simplistic wheel of a beginner. All the basic stops line up with the hour hand of a clock. It takes one full turn to load each car on the Ferris Wheel and one full turn to empty it, adding new passengers. Here’s a list of short one word definitions of each Ferris Wheel car. 10:00 Car- Car of rescue-thoughts of someone bailing you out, or now filled with righteous indignation you know how to save the world. 5:00 Car-Car of Relief-realization the someone other than us is in charge of the running of the Ferris Wheel. It is our job to become conscious of the ride. 6:00 Car-Car of Exit or Car of Entrance- with self acceptance new cars will show up carrying you towards the next Ferris Wheel designed with your lessons in mind. To think of life in this way gives me hope for all of humanity. I think of the energy that runs the Ferris Wheel as the highest energy of all. It gives me hope to think that humanity still has endless opportunities to start and stop on this ever forgiving Ferris Wheel of life. For our good it just keeps turning and turning continually offering its steadfast rhythm for our growth. I see a lot of drop necks now, people staring at their device rather than heads up, eyes forward. Most young people will tell you looking down at their device rarely causes them to run into things, of course statistical odds haven’t caught up with most of them, yet. They don’t quite get what the big deal is anyway. They just don’t know what an evolutionary coup it was to get that frontal lobe. The ability to think and have complex thought, awesome and then boom, we forget the importance of the neck. The neck is where the nerves carrying the brains impulse signals move. Time spent bending the neck makes the communication bridge between the brain and the body divided and unable to move information. What once was an ease of communication from your brain to the rest of your nervous system has become the playground for disregard. Go ahead bend your neck all day long it won’t matter! Yah it matters, it can cause your body skeletal issues from chronic neck pain to a possible hump on the back. Constantly change the position of a fixed flexible bone all the way through the brittle years of middle age and your posture will change, you will get shorter and your spine one day will be stooped. On top of what can happen physically the constant bent neck most certainly impedes signals produced in your brain to get where they need to go to keep your mental self in check. Remember what happens when you put a rubber band around a finger, we use to do that as kids, cuts off circulation take off the band circulation restored. The same action is going on in the neck on a different scale, the constant bending the neck restricts nervous impulse from moving freely, this is minimal during regular neck use but think about it, your kid spends an hour on their phone, looking down, they walk the streets looking down, they sit on the bus, in the car, everywhere looking down. How is it that what took eons of evolutionary time, learning to look up and stand upright, allowing the light to stimulate the frontal lobe and the masters glands of the body, to allowing us to lose it by continually looking down? Are we really getting smarter with all this looking down or is it stealing our chance for experience and growth? Are we slaves to our devices and are the masters pleased with their control? Even if one argued that using intuition to see both up and out while looking down does make someone ahead of the game, it still leaves the disrupted signal dominant, you are not playing with a full deck. Once a nerve is pinched, or the original pathways moved, you are not the same and something has to compensate. I think it might be time to think about why we are giving up the evolutionary advantage to looking up. Keep the neck free of kinks so that all information moving through the spine can be utilized. The communication highway through the neck is developed and moves through the physical but it also includes spiritual impulses as well. But what would be the point of having advanced spiritual thought if the vessel you are in is trapped in animalistic behavior because you chose to look down blocking off the frontal lobes ability to sense light and communicate with a higher vibration resonating in the universe. Your freewill determines what you voluntarily do, so look up more often than down, realize the evolutionary advantage to being the smartest in the room, don’t let those that benefit from our ignorance win. Here’s a shout out to all the artist out there struggling to get their message out of their head and into the real world. It’s not easy to keep facing that blank canvas, or that blank piece of paper, or that blinking cursor on the computer screen. Wanting to say something and having something to say can be two very different things. The only way to get through it is to just do it. You can always destroy the work after it’s out of you. But get the work out. In all things in life, it is the time you put into working at it that reaps rewards. Even “bad” art is better than no art. Saying something is better than keeping it bottled up. 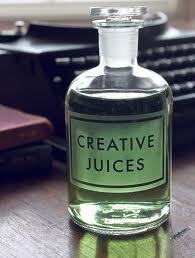 But to keep the creative juices flowing you have to use them. Everything we do and the how we do it reflects the art of our lives. The way we dress, how we keep our house, shows you are an artist, you may just have never looked at it like that. When people forget that life is art then ugliness steps up. We become frustrated in our personal lives and in relationships. We lose a piece of ourselves when we stop seeing art, especially when we stop making art. That creative flow is how God can be reflected inside of us. The way we see things, how we feel about things, all the messages contained in our art. We are all artist, making art in the choice of our career or hobby. Some are secret poets and song writers, frustrated chefs, and unknown interior designers, unseen dancers and sport stars Whether anyone else sees it or knows it really doesn’t matter. Its the work and somehow we just keep doing it. We have to! So as I struggle to sit here in front of my screen working on my next project I feel the struggle of all the other frustrated artists before me and in the other apartments around me. The creative juices are flowing all over the place. May they flow all over me!